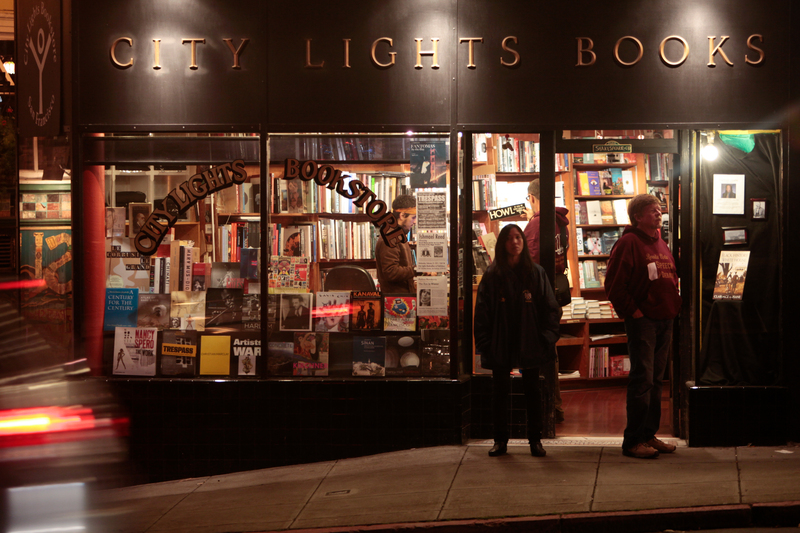 A customer buys a 'HOWL' bumper-sticker in City Lights Books in San Francisco's North Beach. As a symbol of the Beat Generation, the bookstore is a city landmark that attracts visitors from all over the globe. A customer buys a ‘HOWL’ bumper-sticker in City Lights Books in San Francisco’s North Beach. As a symbol of the Beat Generation, the bookstore is a city landmark that attracts visitors from all over the globe. Paul Jakes, left, and Murray Hayden, right, watch the activity at the intersection of Columbus and Broadway streets in San Francisco’s North Beach. This entry was posted on February 15, 2011 by wanderinghome10. It was filed under North Beach, PhotoIII, Street Life .